The hands went up around the auditorium, affirming that their perceptions of the criminal justice system had changed after spending quality time with either a member of law enforcement or someone involved with the system. 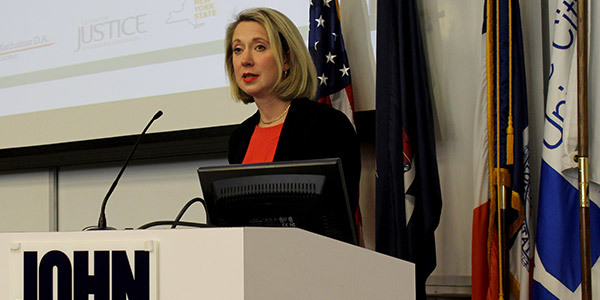 It was proof to Lucy Lang, Executive Director of the Institute for Innovation in Prosecution at John Jay College of Criminal Justice, that the Inside Criminal Justice program, which teaches students from Queensboro and Lincoln Correctional Facilities alongside Manhattan Assistant District Attorneys, was a foundation upon which change could be made to better New York City’s system of prosecution and corrections. “These students, the community members and the frontline prosecutors are the people closest to these problems. They are also the people who are most likely to be able to solve them,” said Executive Director Lang. 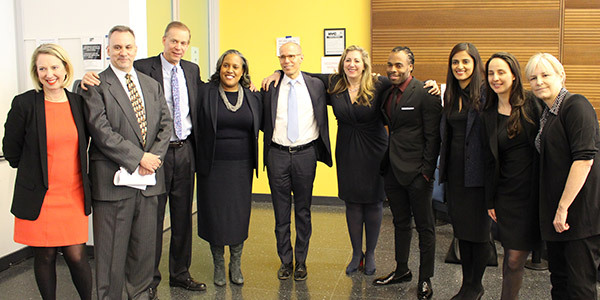 During classes, which were taught by Lang, as well as Geraldine Downey, Director of the Columbia University Center for Justice, Claudia Rincón, Associate Director of Operations and Evaluation at the Center for Justice, and Shawn McMahon, the Manhattan Deputy Assistant District Attorney, the students covered issues like race, class, rehabilitation and the nature of justice. “The crux of this program is taking people who are impacted very directly and indirectly by the criminal justice system and prosecutors, who have an incredible impact on the system, and having them sit down and have a dialogue about the criminal justice system generally and society more broadly. What its needs are, what its flaws are, where it can be impacted, and how they can help,” said Deputy ADA McMahon. 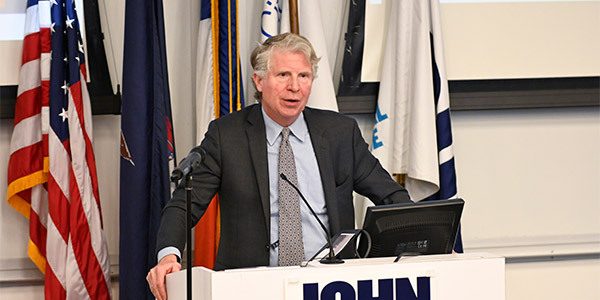 Manhattan District Attorney Cyrus Vance created the Inside Criminal Justice program. The students from the program came together at John Jay College for their graduation ceremony, presenting final projects that offered insight on problems in the system and suggestions on how to improve it; from sharing important information on rights and due process with people post-arrest to training community mentors to be credible messengers who can help steer young people away from trouble.